Today the wedding bells rang in Belœil, Belgium, for Princess Alix de Ligne and Count Guillaume de Dampierre. Princess Alix is the daughter of Michel, Prince of Ligne, himself the son of Princess Alix of Luxembourg, and his wife née Princess Eleonora of Orléans-Braganza of the Brazilian royal family, which makes Princess Alix a descendant of Grand Duchess Charlotte and Prince Felix. And so it's no surprise that Luxembourgish attendance at the wedding was numerous. 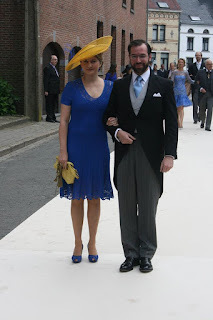 Grand Duke Henri and Grand Duchess Maria Teresa, Hereditary Grand Duke Guillaume and Hereditary Grand Duchess Stéphanie, Prince Félix and Princess Claire, Prince Louis and Princess Tessy, Princess Alexandra as well as Prince Sébastien all made it a priority to be there for Alix's big day. 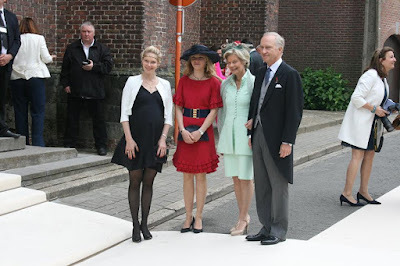 In addition, Archduchess Marie-Astrid and Archduke Carl-Christian with their daughters Marie-Christine and Gabriella, Princess Margaretha with daughter Anunciata, Prince Jean and Countess Diane as well as Prince Guillaume and Princess Sibilla were also present. Also in attendance were Prince Robert and Princess Julie with their daughter Charlotte. Lots of names, I know. 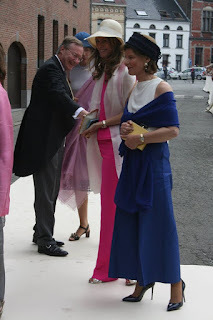 So let's get the faces to the names! 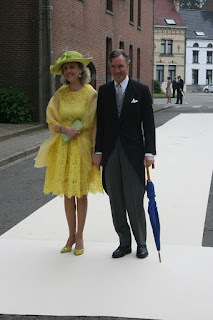 All pictures are by Valentin Dupont of the fabulous Royalement Blog, which also has a post with a lot more info on Princess Alix and Count Guillaume. 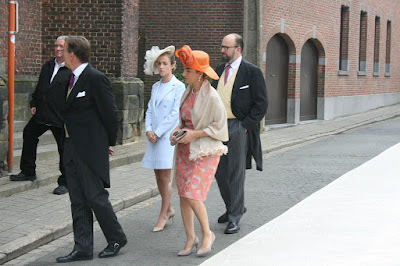 These four are easy to recognise: Of course it is Grand Duchess Maria Teresa, Grand Duke Henri, Hereditary Grand Duchess Stéphanie and Hereditary Grand Duke Guillaume. 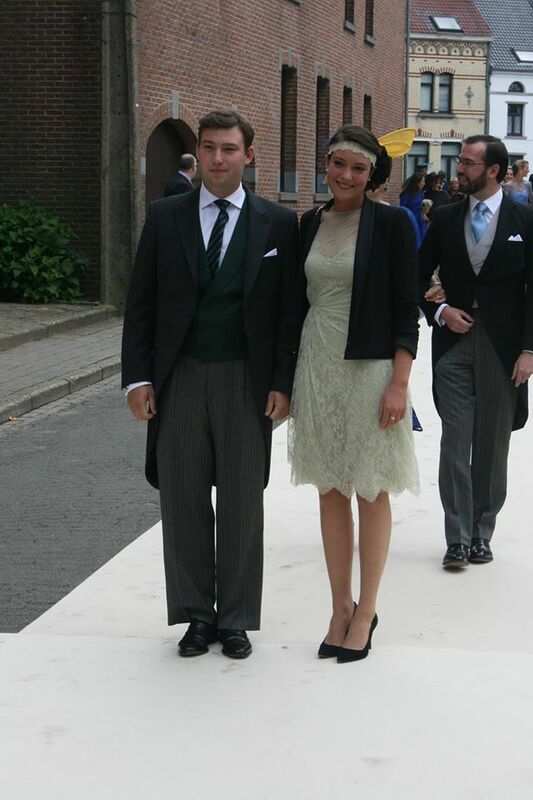 Next are Princess Claire and Prince Félix as well as Princess Tessy and Prince Louis. 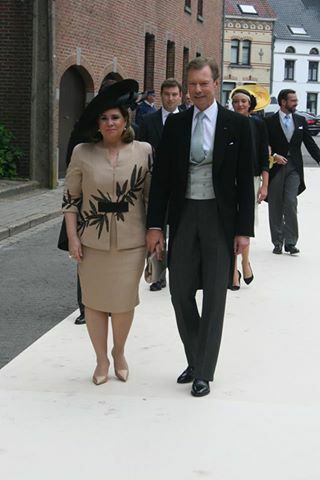 And of course Prince Sebastien and Princess Alexandra. Also present were the pregnant Archduchess Marie-Christine, Archduchess Gabriella and their parents, Archduchess Marie-Astrid and Archduke Carl-Christian of Austria. As were Countess Diane and Prince Jean, who are pictured together with Count Jehan de Lannoy, oldest brother of Hereditary Grand Duchess Stéphanie, as well as Princess Anunciata and Princess Margaretha. Glowing in yellow was Princess Sibilla together with husband Prince Guillaume. And Prince Robert, nephew of Grand Duke Jean, on the right with his wife Princess Julie and daughter Princess Charlotte of Nassau. Lots more pictures of the wedding are available across half the internet. 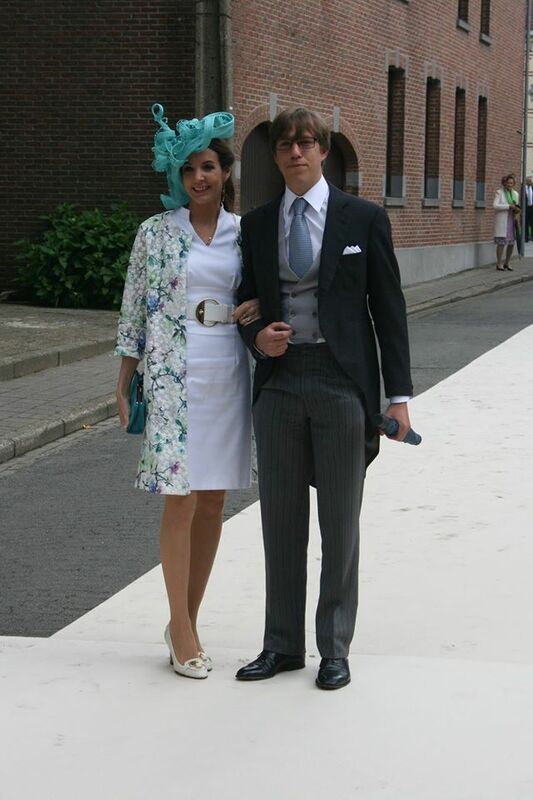 Make sure to check Royalement's Facebook for more as well as Belgian RTL for a video. 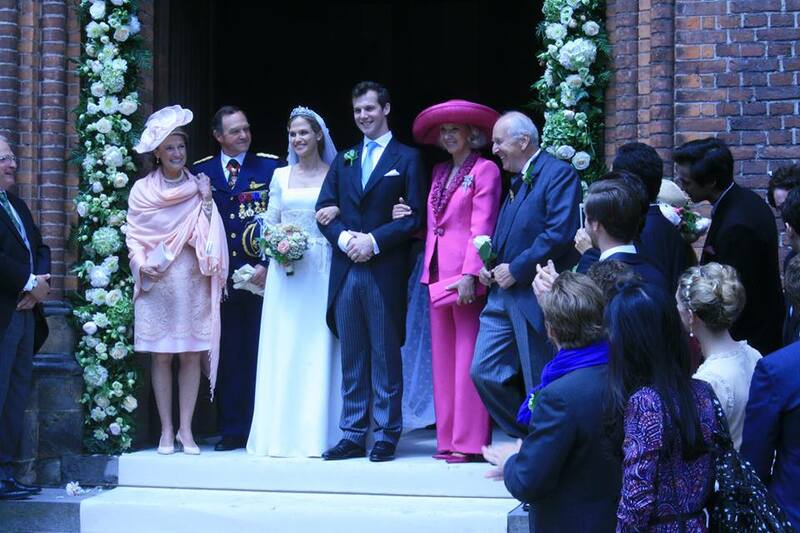 As pictures are just beginning to come through, we might get back to this wedding in a while to see who else attended. 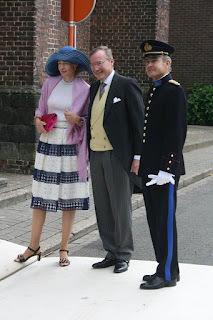 I did also see members of the Wittelsbach, Henckel von Donnersmarck and Hohenberg families meaning that a lot more Luxembourg descendants were present for the day.